The brand building process is so much more than creating a shiny logo or a catchy slogan. Branding encompasses everything about a business and is ultimately what will set you apart from your competitors. A brand is what helps businesses to inspire loyalty and grow their customer base. It’s no longer enough to have a great product. You must embrace the power of branding if you are to succeed. Take an accountancy firm, for example, each has the same product – they manage your accounts and file your returns – however, it’s brand that gives one a distinct difference over the other. It allows them to communicate what makes them special – their ethos, their values and their personality. It plays a large part in making someone pick one accountant over another – and the more consistent your branding attributes are, the stronger your brand impression will be. Here’s how to build a strong brand identity and transform your startup into a successful competitor in the marketplace. When you’re figuring out how to build a brand strategy it’s important to know your position in the market beforehand. If you’re still working this out take a look at our startup value proposition article and our free download which will help you master this vital step. 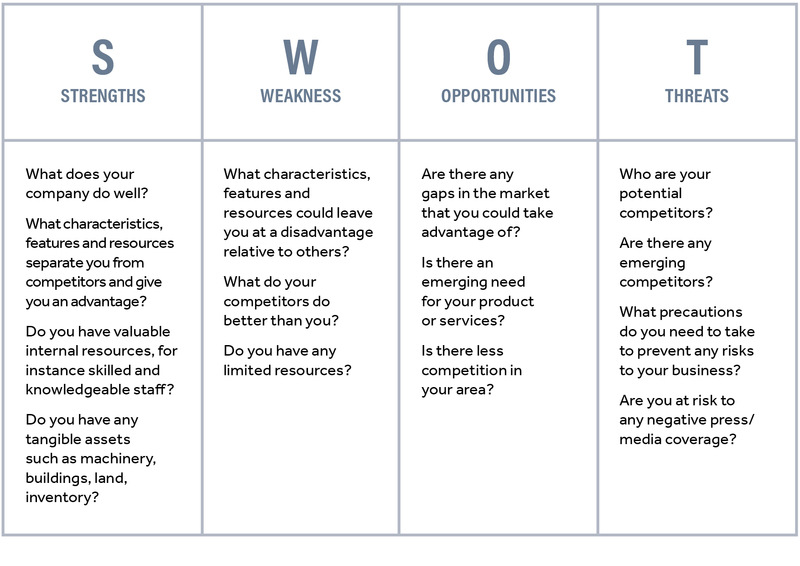 If you’ve completed this step and you still have some doubts about your startups’ vision and your position in the market, take the time to do a swot analysis (see table below). This is a great way of strategically planning and identifying your business’s strengths, weaknesses, opportunities and threats. Do more market research and speak to customers and partners, see if their opinions of your business align with your own vision. A successful brand is built on a harmonious blend of your business’s name and logo, the product or service you’re offering, your values, your personality and the story behind your business – and of course your brand guidelines, which enables your business to communicate in one consistent voice. What makes your product significant in the current world we live in? What is your startups’ mission? Think about what benefit you will bring to the world through what you do. What problems have you set out to solve? Determine your fundamental promise to your customers. What makes you stand out from competitors and valuable to customers? 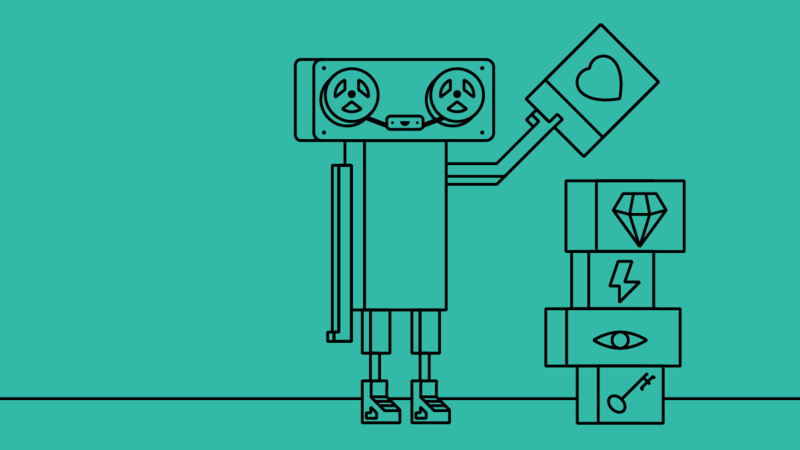 Understanding how your customers feel about your brand and themselves is essential to your startups’ success. Think about what they will feel when they see, buy, use and talk about your brand. Consider your brands’ personality. You will have to make countless decisions about your brand, so if you can associate it with a person, making these decisions will be much easier with that brand personality in mind, rather than your own feelings and opinions. Once you have a good idea of your brand characteristics, the next step in your brand building process is to translate these characteristics into a look and feel that can be carried across all your marketing channels and making it work everywhere. When thinking about how to build a brand identity consider everything, from your website, social media profile, blog, online advertisement, packaging and everything else. A great brand will be able to change and adapt wherever it is used, whilst remaining identifiable. Consider this when you prepare your creative brief outlining the brand identity you are building. First impressions are everything and can have a huge impact on your business, which is why hiring a professional to design and develop your brand, website and social media strategy will ensure you get the best results possible. Starting your own business takes a lot of time and energy, so consider leaving your branding to the experts because time is money, and you’ll have more than enough to worry about. However, we also understand that some startups cannot afford a professional branding agency – it’s understandable that you may want to do it yourself in the early stages. If you’re thinking of going solo – perhaps sign up to our mailing list to receive our free mini-series “Five Tell Tale Signs Your Brand Isn’t Working” and make sure you avoid the most common branding mistakes. Once you have found a designer you’re happy with you will need to provide them with a creative brief (alternatively they will get you to fill out their own or provide you with already prepared guidelines) outlining your brand vision. If they don’t go through this process, find another designer! You can alway’s approach your design prepared by downloading our free creative brief template. Perfecting your brand look, feel and voice is only the beginning of how to build a brand. Keeping your brand alive and consistent for years to come is a long-term commitment and building an identity that your customers come to know and trust will take a long time. That’s why consistency is so important because if your brand is easily identified across all channels people are more likely to remember it. Great brands are patient and persistent in following their identity. Stay reliable, follow your values and keep your brand promises.